After raining most of the day of the outdoor performance, the skies cleared for two MBU students to take their seats on the lawn to see Chris Brown. However, they found they had a harder time focusing on what was happening on the stage than the cameras filming the event. 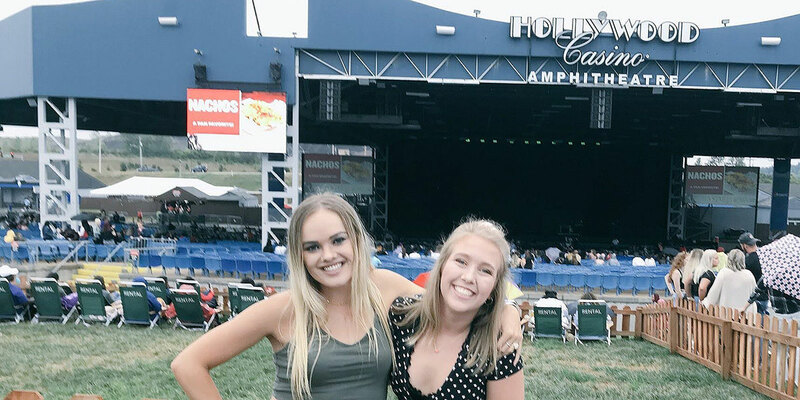 Two MBU communications students, left to right, Madelyn Shotton and Haley Sandvoss, smile with excitement as they pose in front of the stage for a Chris Brown concert at the Hollywood Casino Amphitheatre in July 2018.